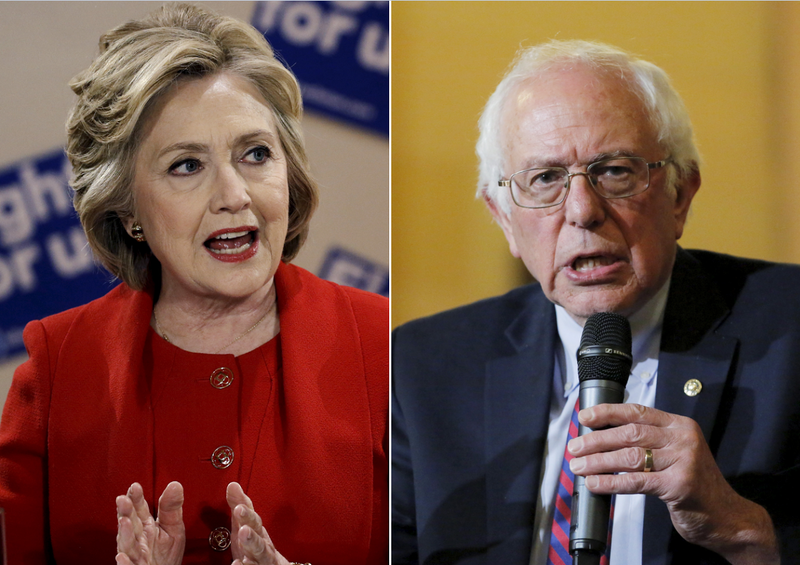 Who's voting in the Democratic primaries? Like Barack Obama eight years ago, Bernie Sanders captured the vote of younger voters under 30, and they made up a greater percentage of the electorate in 2016 (17 percent) than in 2008 (14 percent). And Sanders fared better among these younger voters, winning 71 percent of voters under 30 (compared to 59 percent for Obama in 2008). Voters between 30 and 44 made up 23 percent of Democratic primary voters, and they were almost evenly divided between Hillary Clinton and Bernie Sanders. In most of the states where exit polls were conducted, the candidate who won the vote of 30 to 44 year olds won the primary. Six in 10 Democratic voters were over the age of 45, and as she did eight years ago, Hillary Clinton won the support of older voters. Clinton won 64 percent of voters between 45 and 64 and 71 percent of voters 65 and older. Overall, Hillary Clinton won the support of a majority of women who voted in Democratic primaries and caucuses where exit polls were conducted, while men were more closely divided between Hillary Clinton and Bernie Sanders. Overall, 58 percent of Democratic primary voters were women, compared 42 percent to who were men. Men were divided by age between the two candidates, with men under 45 choosing Sanders and men 45 and older voting for Clinton. Men were increasingly likely to vote for Clinton the older they were. Women were also divided by age, but the generational divide was younger. While Bernie Sanders won decisively among women under 30, Hillary Clinton won a majority of women between 30 and 44. She did even better among women in older age groups. In 2008, Hillary Clinton had strong support among white voters, but this year it was black voters who were instrumental in her primary victories. While Bernie Sanders (50 percent) edged out Hillary Clinton (48 percent) among white voters overall, 77 percent of black Democratic primary voters chose Clinton. Black voters made up 25 percent of the Democratic primary electorate in 2016, significantly higher than the 19 percent who turned out in 2008 when Barack Obama became the first black candidate to win the nomination. Although Bernie Sanders scored wins in both Michigan and Indiana, where approximately one in five voters were black, most of his victories occurred in states where blacks made up a much smaller percentage of the electorate. Hillary Clinton's largest victories occurred in states where blacks made up a majority of those voting. Although blacks made up the bulk of non-white voters in the Democratic primaries, Clinton also won the support of a majority of Hispanic and Asian voters, who together made up about 10 percent of Democratic primary voters. Overall, Hillary Clinton won the support of self-identified Democrats who voted in Democratic primaries and caucuses where exit polls were conducted by a margin of nearly 30 percentage points, while self-identified independents voted for Bernie Sanders by a similar margin. Democrats made up 75 percent of voters, while independents made up just 22 percent. CBS poll: Hillary Clinton v. Donald Trump - who would win in November? High turnout among independents was an important factor in states that Bernie Sanders won. Sanders didn't win any primaries where independents made up less than 22 percent of the electorate. The Democratic primary electorate skewed far more liberal in 2016 than in 2008. 61 percent of Democratic primary voters described themselves as liberal in 2016, compared to 47 percent in 2008. One in four described themselves as very liberal. Hillary Clinton ran about even with Bernie Sanders among the quarter of Democratic primary voters who said they were very liberal, and she did considerably better among less liberal voters, beating Sanders by 13 points among somewhat liberal voters and by 26 points among moderates. Top Issue: The economy! The economy! The economy and jobs was the most important issue for voters in the 27 states where exit polls were conducted (except in Vermont where it tied with income inequality). In last week's primary in West Virginia 57 percent of Democratic voters said the economy was the most important issue - the highest in any state this year. In 26 of 27 states, the candidate who got the support of economy voters won the state. In addition, eight in 10 Democratic voters said they were worried about the direction the economy was headed, including 40 percent who were very worried. Democratic primary voters looking for a candidate with the right experience backed Clinton in every state where exit polls were conducted - sometimes winning nine in 10 of those voters. Sanders, on the hand, generally won voters who were looking for a candidate who cares about them. Voters who prioritized empathy backed Sanders in 18 of 27 states where exit polls were done. Clinton also did well among voters looking for a candidate who could win in November - although that ranked last on the list of candidate qualities for voters. And Sanders won the support of voters looking for someone who is honest and trustworthy. The matter of Clinton's honest and trustworthiness has been an issue since the start of the campaign. In state after state, more Democratic voters said Sanders was honest and trustworthy than said that about Clinton. Seven in 10 Sanders voters said Clinton was not honest and trustworthy. While Sanders was viewed as honest, more Democratic primary voters perceived Clinton's policies as realistic than Sanders' policies. Among Clinton supporters, six in 10 voters thought Sanders' policies were not realistic. More than half of Democratic primary voters throughout the primary states said they wanted the next president to continue President Obama's policies. This was especially true in states with high percentages of African American voters. In South Carolina, 74 percent of voters expressed a desire for Mr. Obama's policies to continue. Vermont and New Hampshire, states Sanders won, were the only two places where voters said they wanted more liberal policies rather than a continuation of the president's. On the flip side, 41 percent of West Virginia Democratic primary voters wanted the next president's policies to be less liberal - the highest in any state. Clinton won the support of voters who wanted to continue the president's policies, while Sanders prevailed among those who wanted to switch to more liberal policies.